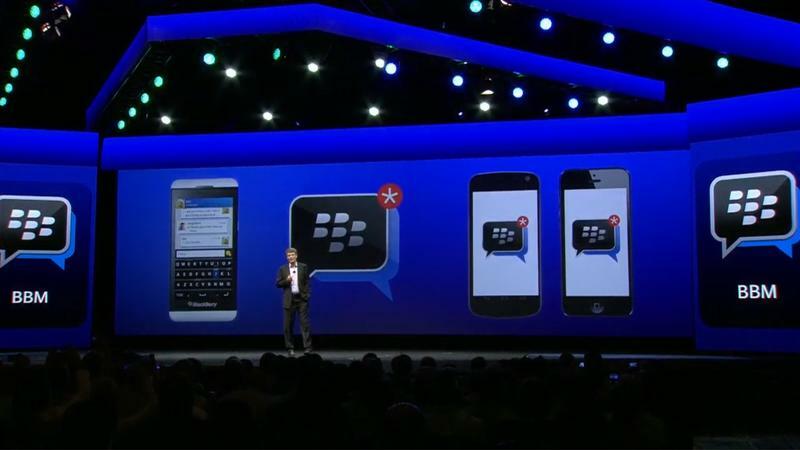 During BlackBerry Live the company announced that it will deliver the BBM experience to Android and iOS. It said some functions will be available at the launch but that others, probably BBM Video or screen share, will come at a later date. It might even be smart to offer those as in-app purchases. In any case, BlackBerry recently spoke with CNET and hinted that device makers may actually want to pre-install BBM so that consumers can use it out of the box, instead of having to download it separately. This could give the platform a leg-up on other popular chat applications such as WhatsApp or Kik, which don't come preinstalled on most smartphones. In other words: if BBM is right at a user's fingertips, he or she might use it by default without exploring for other options first. "There is interest from other handset makers," BlackBerry Chief Operating Officer Kristian Tear explained to CNET. Tear, of course, did not name the manufacturers who might be interested. Considering that Samsung has its own ChatOn application and Apple uses iMessage, however, we find it hard to believe that either of those would want BBM out of the box. Perhaps HTC might be interested, however, or maybe even Amazon if it decides to launch its own smartphone. We'll need to wait and see, but we're definitely excited to see what sort of experience we get when BBM launches for other operating systems later this summer.